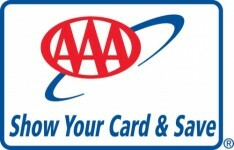 Get a discounted AAA membership from Public Insurance Agency. Enter: A21930 in the User ID field to waive the $10 enrollment fee! Look for this symbol at participating retailers. Take advantage of exclusive AAA Member Discounts at hundreds of leading hotels, businesses and retailers across the nation — plus discounts and free-shipping offers from leading online partners. You can easily save more than the cost of your membership — year after year.